You won't have much difficulty accessing the internals of this case. The glass panel is secured with four thumbscrews while the opposite panel uses two rear thumbscrews and a notches and rails system. The front panel pulls off easily too, and the I/O panel cables do not come with it. 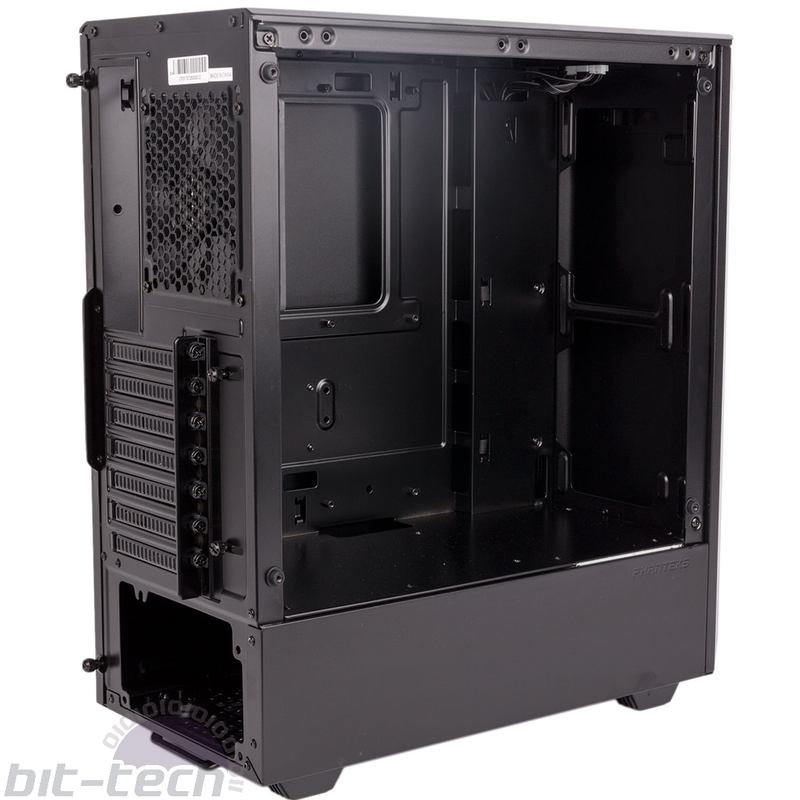 You're likely familiar with the layout offered by the Eclipse P300; a horizontal steel panel divides the case in two so that core hardware can be shown off cleanly in the upper area and drives and cables can be hidden out of sight in the lower one and behind the motherboard. Installing the motherboard is made that little bit easier thanks to pre-installed standoffs. 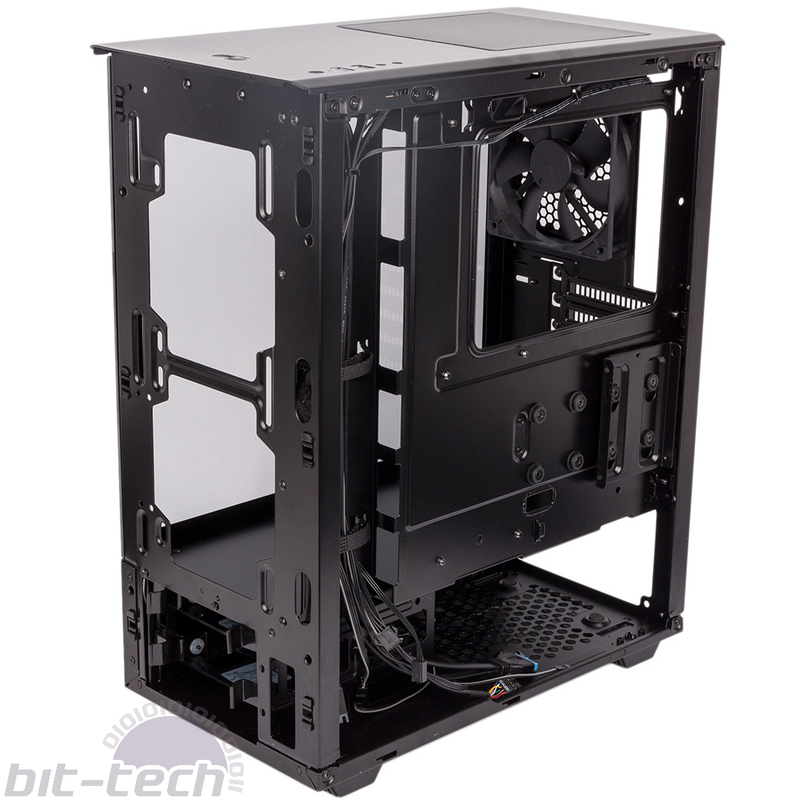 A large CPU cooler cutout and the spaciousness of the main chamber means the rest of your main hardware should be easy to install too, although you do have to fiddle with a PCI bracket lock to secure your graphics and expansion cards. The power supply slides in from the right side and has some foam feet to rest on. It's limited to 197mm in length thanks to the two-bay HDD cage up front, the plastic trays of which pull out to the front rather than to the side as is more common. This isn't much of a disadvantage if at all, however, as the front panel is so easy to remove. The trays themselves have nifty locking arms for tool-free 3.5” HDD installation complete with rubber grommets, but they also support 2.5” drives. The whole cage can be removed, but it's held in place by eight screws, and the only advantage you'd get is longer PSU support – a hefty cost for losing 3.5” drive support altogether but an option nonetheless. 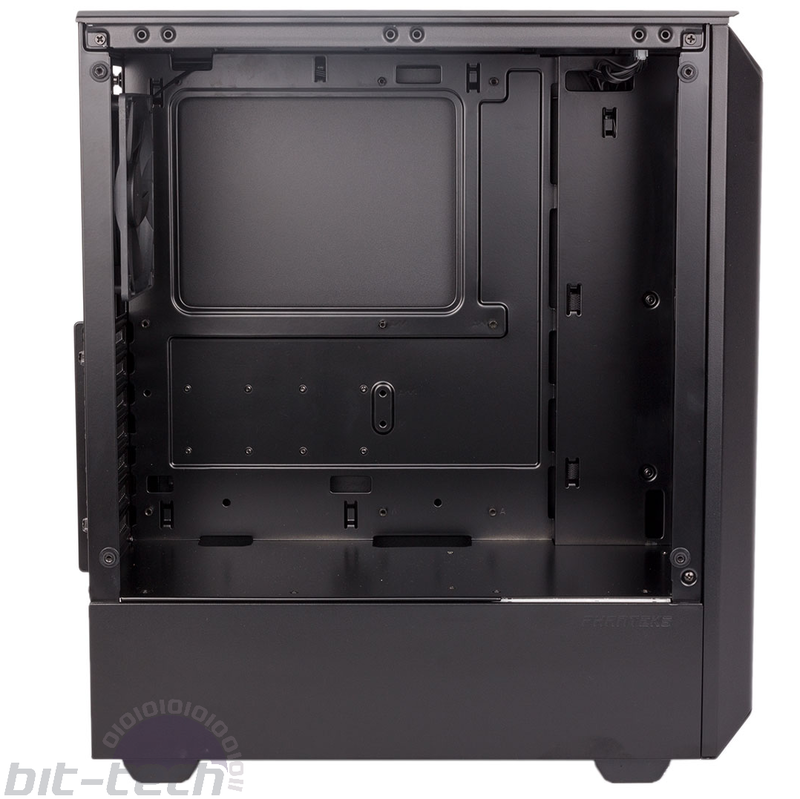 This case does not have the modular support for additional 3.5” trays in the upper cavity like many of those in the Phanteks Enthoo series do. There is also a single dedicated 2.5” mounting tray secured to the rear of the motherboard tray. 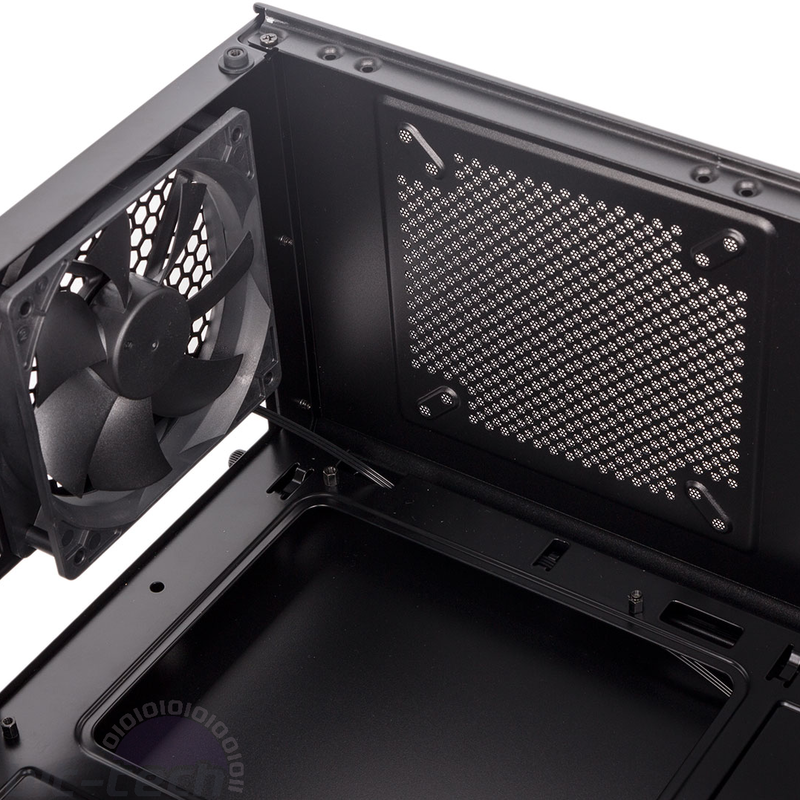 As ever, this uses Phanteks' lovely Drop-N-Lock system of rubber grommets to lock the tray in place. A second set of grommets allows you to add another tray, but you'll need to buy this separately. The case is a little limited in default drive support, but honestly most users probably do only need one SSD and one or two HDDs these days. 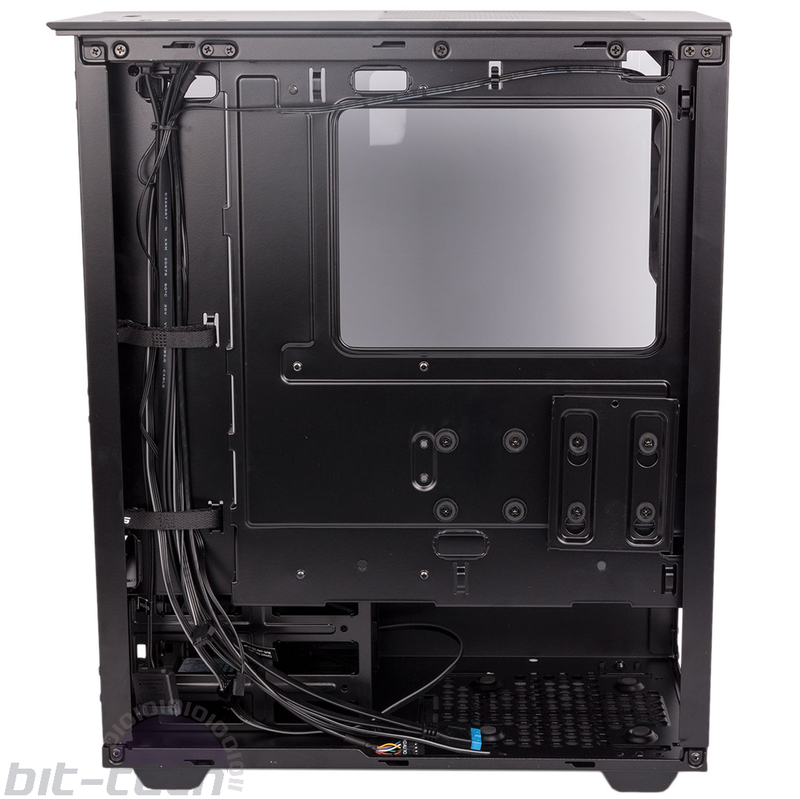 This evidently isn't a chassis built for water-cooling, but the double front fan mounts do allow up to 240mm or 280mm radiators to be installed, which takes care of most (but not all) all-in-one coolers on the market. Thermaltake's Core G21 TG, by comparison, offers a cutaway section at the front of its PSU shroud and a third 120mm mount for 360mm radiator support. There is no built-in support here for DIY water-cooling, so that's something that would most likely call for some cutting and chopping. Phanteks frequently impresses in the realm of cable routing, and even at this £55 price point it's no different. 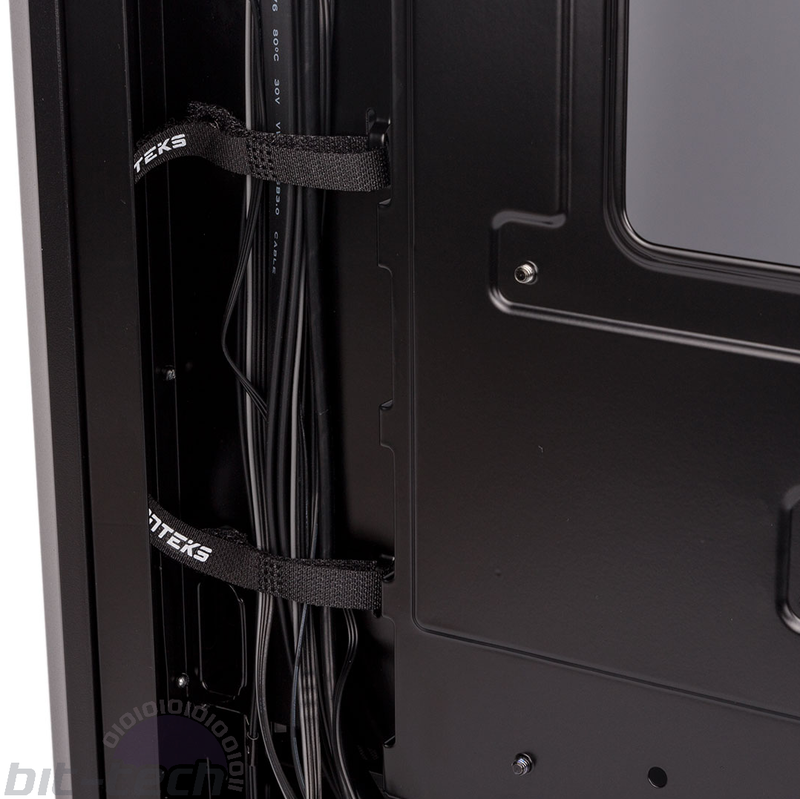 There is a deep cable channel at the front of the case with a couple of Velcro cable ties to keep everything in place and easy access to the main I/O area of your motherboard and the lower chamber. Additional holes above and below the motherboard mean that no single cable should have too much length on show, and it's easy to work with.